Are Category Keywords in the URL a Significant Ranking Signal Now? Home » Are Category Keywords in the URL a Significant Ranking Signal Now? 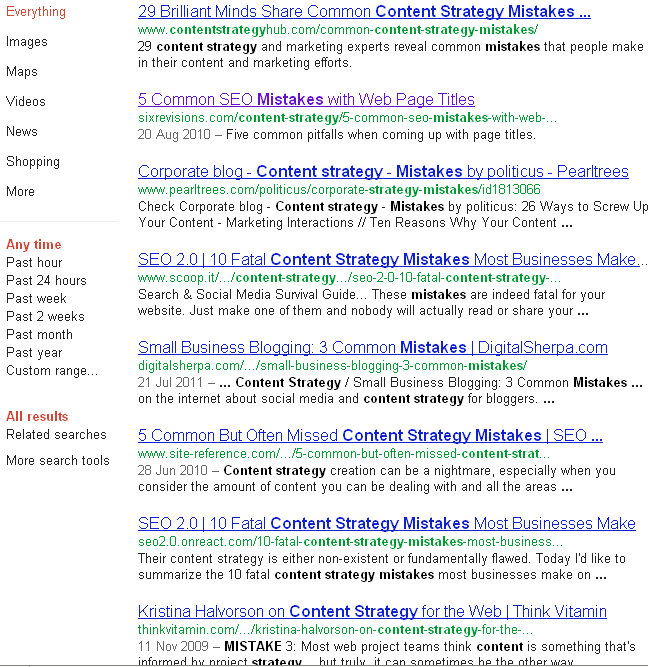 Above: Not personalized search results for the query [content strategy mistakes]. I rank at #7. Look who ranks at #2 and #4. While trying to assess the impact of stolen and otherwise copied content on my rankings here on the SEO 2.0 blog I’ve found an anomaly in the Google results I want to share with you. 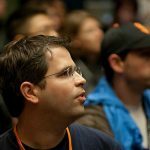 A post from a popular web design blog, indeed a blog I like very much, Six Revisions outranks other far more relevant search results. So the most significant onpage ranking factor seems to be the category keywords in the URL. The site has lots of backlinks, the post itself as well. So far so good but there is reason why this post should rank specifically for that keyphrase or is it? 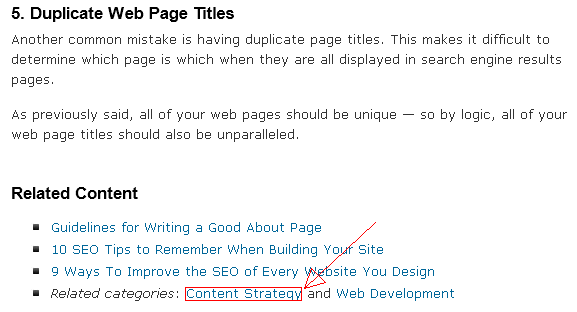 Still it outranks other pages that really deal with content strategy mistakes while itself the post does only cover SEO mistakes. What do you think? Is this an exception from the rule? Are category keywords in the URL a significant ranking signal now. Or does Google favor authority sites so much these days hat they need only slightly relevant content to outrank the competition that covers the topic at stake directly? You may wonder why I rank so bad in this example. My blog has been “pandalized” recently during a minor Panda update with the number 2.5.2.
anymore. That’s one of the reasons why I don’t rank higher for [content strategy mistakes]. I only rank for some very long long tail queries now. Also take note that an aggregator called Scoop.it curated by a friend mine, Gabriella of Level 343 who cites my posts ranks higher than the post on SEO 2.0 itself. I have asked on Twitter whether other SEO people can confirm that keyword mentions in categories are an important ranking factor these days. I know that the impact of keywords in URLs beyond the domains has been negligible over the recent years. Has Google changed this? Two experts, Shark SEO and Mark Edmondson have weighed in that there might be different reasons but were as well surprised by this example. What do you think? P.S. : I didn’t link out to any of the sites or pages involved here in order not to skew the results. Last updated: July 18th, 2018. Is Your Site Really Mobile-Friendly or Just Pleasing Google? This is an interesting development. I’d always assumed what you mentioned there, that the URL was largely irrelevant other than the actual domain (And if you had a million & parameters in it). On my site, the category is a part of the URL, and I’ve largely regretted that for the past few years because the vast majority of my posts go into just one or two categories, so it seemed pointless. If this does prove to be true though, it would be an interesting consideration to make when choosing WordPress permalinks. They are definitely phasing it out. It’s too easy to manipulate, which isn’t the google thing. Have you looked at social factors? The Six Revisions article has over 700 retweets, versus about 60 for you. I’ve been researching this too and volume of likes/tweets, plus response to those likes and tweets, seems to be a bigger and bigger ranking factor. Tom: I don’t understand. What are they phasing out? Ian: Good point. Indeed I haven’t, I have neglected this obvious ranking signal because I didn’t assume people would tweet about “content strategy” where there is none mentioned in the headline. Do you suggest that the sheer amount of tweets etc, matters? 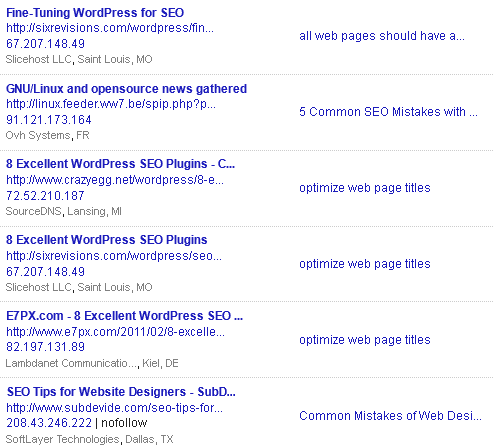 SEOMOZ does play the category with the keyword on the URL as a significant card for ranking well. Although that is not a critical factor it is still there on the list which means it must be important.